I liked this book but I didn't love it. 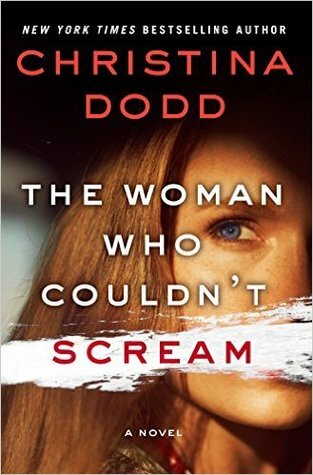 It has been years since I have read anything by Christina Dodd but I have really enjoyed her writing in the past so I was excited to get the chance to read this book. This is the fourth book in the Virtue Falls series and I think that I might have gotten a bit more out of it if I had read the previous books before jumping into this one. I didn't have any kind of difficulty following the story but there were times that I just felt like I was missing something. I did like the book and was eager how things would work out. This book really seemed to be telling more than one story. There is Merida, a mute woman, who has been recently widowed. The other main focus was on Kateri, the newly elected sheriff. Both of these woman had there own issues to deal and relationships to figure out. I honestly think that I might have like the book a bit more if the focus didn't shift back and forth as much as it did. There were quite a few times that I was pulled out of the story a bit as the point of view changed. There is a whole lot going on in this book. So much. There is a convict on the loose, a string of murders occurring in Virtue Falls, a relative in town causing trouble, romantic issues, a long lost lover, a comatose friend, plus a frog god. It was probably too much in a lot of ways and started to seem unrealistic. I am okay with the frog god not being realistic but I would have liked for a little more believability for the rest of the story. I really did like Kateri. She seemed to be able to handle just about anything but was willing to take advice from others. I liked Stag as well but he wasn't in the book as much as I would have liked but he seemed to really be what Kateri needed. I also really liked some of the members of the police force and the older bar owner. Merida and Benedict never felt completely real to me. I didn't dislike them but I wasn't sure if I should trust them either. I think that my biggest issue with the book was that things just seemed too convenient at times. As the excitement of the book peaked, the characters would catch a break that was too good to be true. Problems were solved a little too easily and solutions showed up just when they were needed. I am glad that all of the loose ends were wrapped up but I would have it to feel a bit more real. I do think that a lot of readers will enjoy this one. I enjoyed this book even though I had some issues with the story. I do hope to read more of Christina Dodd's work very soon. I received an advance reader edition of this book from St. Martins Press via NetGalley. 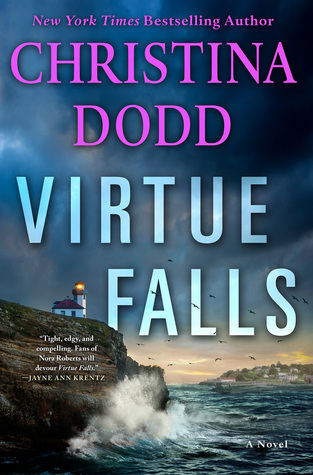 New York Times bestselling author CHRISTINA DODD builds worlds filled with suspense, romance and adventure and creates the most distinctive characters in fiction today. Her more than fifty novels have been translated into twenty-five languages, featured by Doubleday Book Club, recorded on Books on Tape for the Blind, won Romance Writers of America's Golden Heart and RITA Awards, and been called the year's best by Library Journal. Dodd has been a clue in the Los Angeles Times crossword puzzle. I did enjoy the book overall. Too bad that you did not love it and I am not a fan of too convenient situations in books but your review was great! It was fun but a bit too unbelievable at times. I can't jump into a series without reading the first one. I feel you always miss something important whether in plot or character development. This book did tell its own story. Sometimes you can jump in anywhere but other times order is important. I haven't tried this author yet but it's too bad that it wasn't a bit more. I do like the book and hope to read more of her work soon. I really need to stay away from series until I catch up on some others. Sorry you didn't enjoy it more. I don't think that I realized it was a part of a series when I requested if from NetGalley. I am in deep catch up mode right now. I can understand feeling a little disconnect with the story when it goes back and forth so much. It’s too bad too, because this sounded like it’s would be a good one. I think I would have liked this one more if it would have just stuck with one of the main stories. I do think that this book told its own story but I am sure there were some things that I might have missed by skipping the earlier books. I hope you enjoy the series, Lily! That sounds like it would be a page turner. Despite your disappointment, it is good to know you were still able to appreciate the story. Wow, that is a lot going on and two separate main heroine threads on top of it. I can see why you couldn't get comfortable with the book. Oh man. 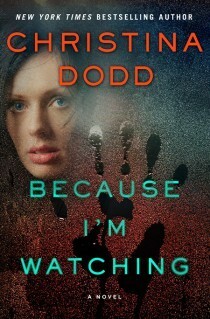 I forgot about Christina Dodd books. I used to read her vampire series back in high school, but then I realized each book read exactly the same. There were a few that stood out that I might reread one day, but it'll be a long time from now. I don't think I have read her vampire books but she has some werewolf books that I adored. Glad this one was mostly good, in spite of the issues. I don't like it either when things get too convenient, a lot of times that takes me out of a story. I am curious about the premise and what happened to her all those years ago, and who in the new town knows her secret. Also... a frog god? That seems so out of left field with all the rest of it! Now I AM curious lol. I just had a few moments where I thought things were too good to be believable. Yep, the frog god was definitely different. I can see both of those issues being, well, issues. lol I've had them where it really would have been better to focus on one story thread and not a second as well. It really can pull you out of the story if not done well. I really liked one thread more than the other so I was always disappoint to switch to the other. Too bad all the happens kind of overwhelmed the story. It has been years since I've read a Dodd book. I do like her writing and hope to read more of her work soon. Thanks for sharing. It sounds like it was an okay read. Sorry you felt you missed a bit having not read the previous books - and how not everything felt realistic. I don't really think that the problem was not reading the earlier books but liking one thread a lot more than the other. I'm sorry you didn't enjoy this one more! This wasn't a scary book at all.